A laughing police officer carried a drug dealer away in his pants after he tried to escape. Just to clear up any confusion, the police officer didn’t tuck the drug dealer into his own pants and use them as a method of carrying, no. The police officer carried the drug dealer, who happened to be wearing only pants, on his shoulders. If that’s still ambiguous just look at the photos. Police were looking to arrest 18-year-old Rhys Williams for being part of an organised crime gang in Wrexham, north Wales, but in a desperate attempt to evade officers Williams decided to jump out of a window wearing just his underwear. Despite not having anything on his feet the young man tried to outrun the police, but Sergeant Ian Evans caught up with Williams and arrested him. Williams complained to Evans, saying his feet hurt after jumping out of the window. Though he’d brought on the pain himself the amused officer decided to give the man a hand and hauled him over his shoulder. On December 20 the 18-year-old was jailed for two years, along with nine other members of the organised crime gang who distributed heroin and cocaine around Wrexham, running a drugs operation that attracted ‘queues like Tesco’. The police operation began after one of the gang’s dealers turned up at a police station with thousands of pounds worth of heroin and cocaine stowed in the boot of his car. For a four week period afterwards, covert cameras caught footage of the gang’s movements as they worked at a property in the Clos Owen area of the town. The gang would notify buyers their drugs were on sale using a ‘county lines’ phone, and supply the class A substances to users who gathered on the other side of the property’s garden fence. 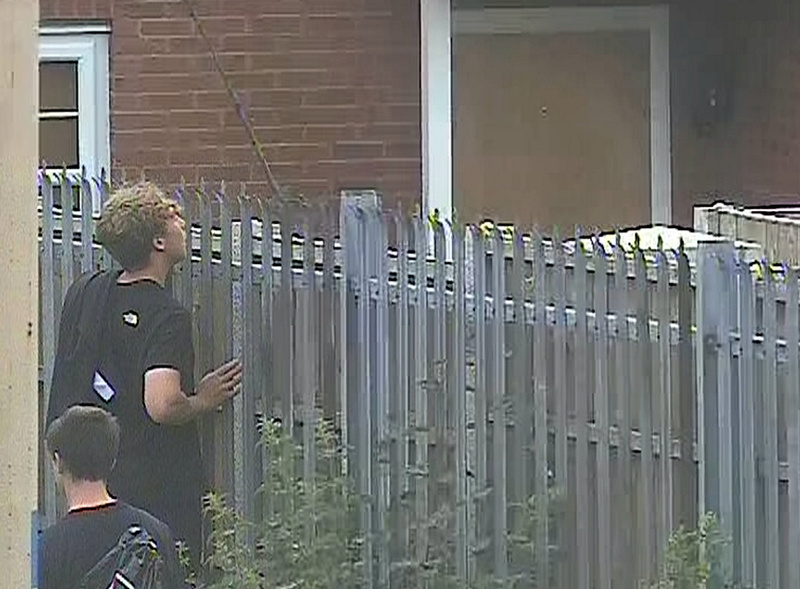 Police estimate the gang was raking in approximately £4,000 a day from their illegal business. On August 9 authorities moved in on several properties to arrest members of the gang – which is when Williams tried to make his great escape. During the police investigation, codenamed Operation Loot, around £18,000 worth of class A drugs were seized; £13,000 of cocaine and £5,000 of heroin. It was like going to Tesco. There were people queuing up every day outside the address to pick drugs up. On the day of the road, about £18,000 worth of drugs was seized, wraps of heroin and cocaine. The nature of the way these drugs were being dealt was through a ‘County Line’ and we had to follow the phone around. We have now increased our offer of substance misuse services to people so they have a chance, an opportunity to take the right path. There will be individuals who are in debt to organised crime groups so it is important to ensure we don’t walk away and leave them to fend for themselves. Members of the gang appeared at Mold Crown Court and admitted conspiring to supply class A drugs.